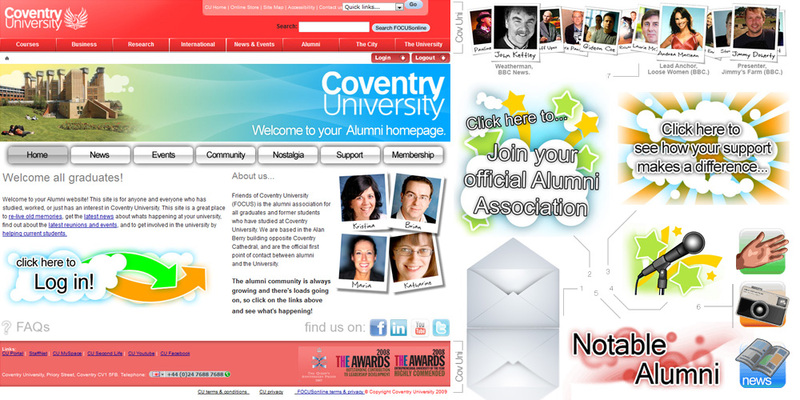 The complete redevelopment of the Alumni website for Coventry University. The previous site have over 500 pages that were relatively disorganised, so the project started with an assessment of their previous content and a redesign of the structure of the site. Later, a new visual design, including extensive graphic assets for customisable animated headers and graphics was developed. 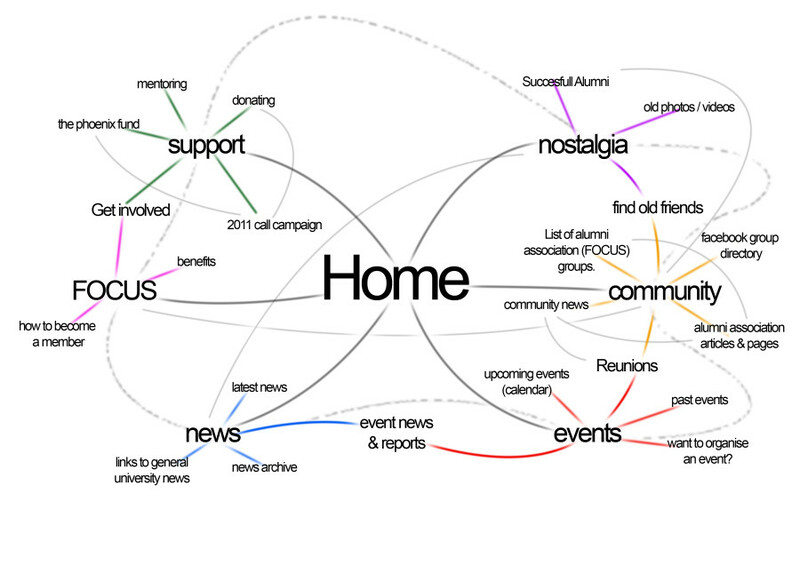 Staff were trained in using the new site, tutorials were produced, and a secondary website was developed for the universities Major Gifts team.